Room temperature (T room, 300 K) nanojoining of Ag has been widely employed in fabrication of microelectronic applications where the shapes and structures of microelectronic components must be maintained. In this research, the joining processes of pure Ag nanoparticles (NPs), Cu-Ag core-shell NPs, and nanowires (NWs) are studied using molecular dynamics simulations at T room. The evolution of densification, potential energy, and structural deformation during joining process are analyzed to identify joining mechanisms. Depending on geometry, different joining mechanisms including crystallization-amorphization, reorientation, Shockley partial dislocation are determined. A three-stage joining scenario is observed in both joining process of NPs and NWs. Besides, the Cu core does not participate in all joining processes, however, it enhances the mobility of Ag shell atoms, contributing to a higher densification and bonding strength at T room, compared with pure Ag nanomaterials. The tensile test shows that the nanojoint bears higher rupture strength than the core-shell NW itself. 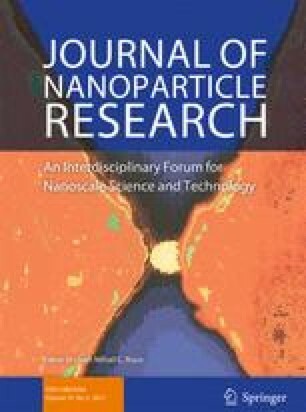 This study deepens understanding in the underlying joining mechanisms and thus nanojoint with desirable thermal, electrical, and mechanical properties could be potentially achieved. We are thankful for the fruitful discussions with Dr. Anming Hu. This work utilized the resources of the Extreme Science and Engineering Discovery Environment (XSEDE), which is supported by the National Science Foundation grant number ACI-1053575. J.W. appreciates the great efforts of Drew C. Marable and Ali Yousefzadi Nobakht in professional assistance to significantly improve the quality of this manuscript. J.W. also acknowledges helpful discussions with Denzel Bridges, Yongchao Yu, Shutong Wang, Chaoli Ma, Suhong Zhang, and Zhiming Liu, regarding the topic of scientific writing. This study was funded by the National Science Foundation (grant number ACI-1053575).